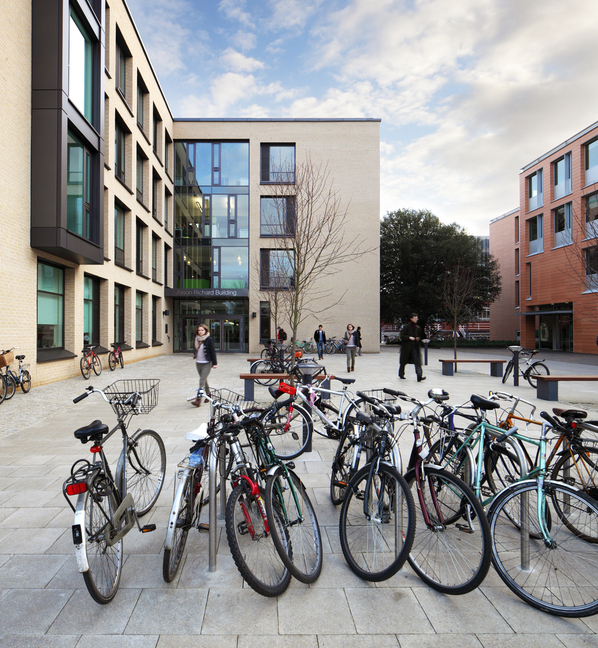 The Alison Richard Building (‘ARB’) was carefully designed to blend in with the other buildings on the University of Cambridge’s Sidgwick Site. Internally, however, it is far more distinctive. 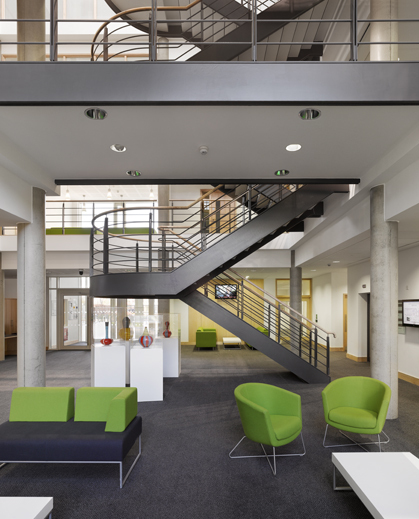 The building has a north wing and a south wing attached to a central atrium – the social hub of the building – a light and spacious area suitable for exhibitions. 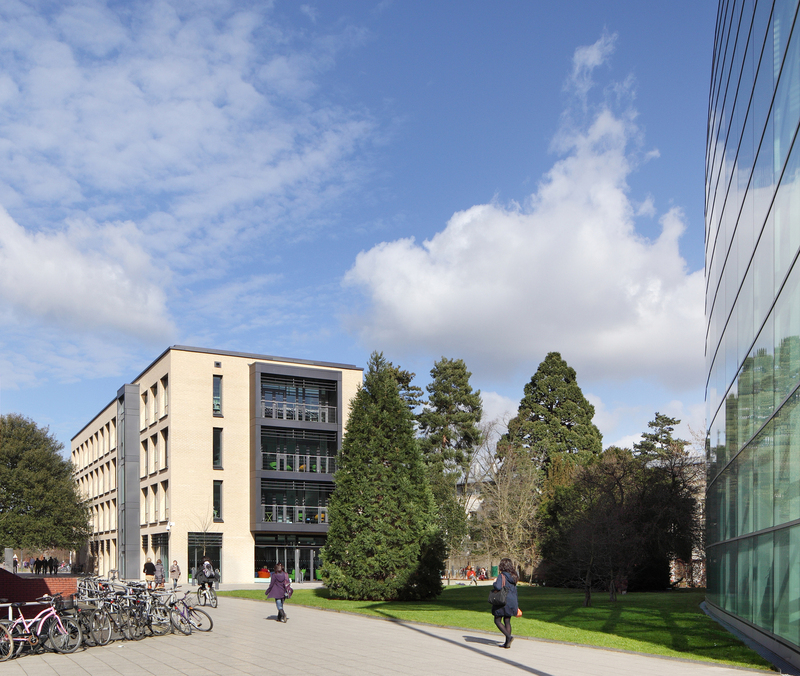 The ARB is home to the Centre for Research in the Arts, Social Sciences and Humanities (CRASSH) and the Department of Politics and International Studies (POLIS), including the Centre of African Studies, Centre of Development Studies, the Centre of Latin American Studies, Centre of South Asian Studies and the Centre for Gender Studies. 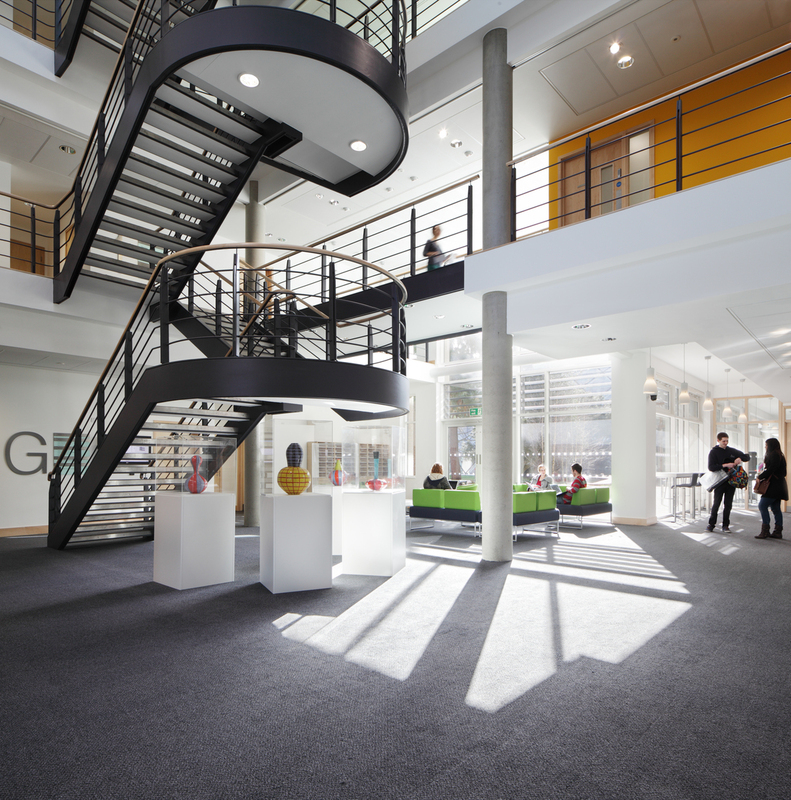 The ARB art committee is run on a voluntary basis by staff and academics based in the various departments and centres in the Alison Richard Building. 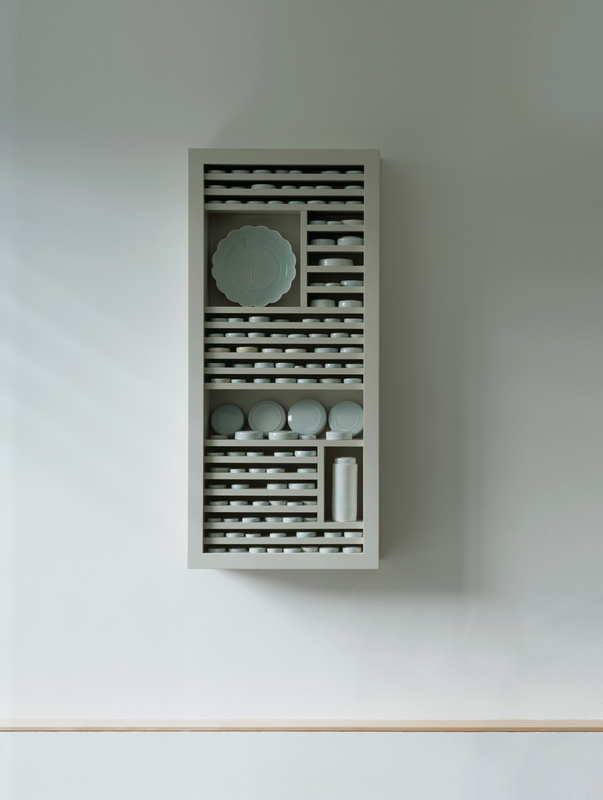 The main contact for the art committee is Judith Weik (jw571@cam.ac.uk), based at CRASSH. For further images of the exhibition space please visit The Exhibition Space. Exhibitions are installed on the ground floor as well as the three upper floors of the ARB. Printed information on current exhibitions can be found near the reception desk in the atrium of the ARB. Opening hours depend on the university term dates, please check before visiting or contact us on 01223 760 488.